Pc Channon served with South Yorkshire Police. 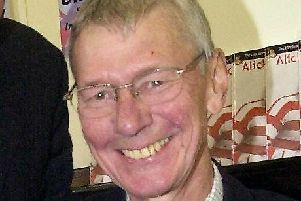 A well known former Doncaster police officer has died at the age of 85. Former PC Paul Albert Channon, who served as an officer in the town for many years, died last month after a short illness. He retired from South Yorkshire Police in 1986 after serving in the Doncaster area. He died on May 25 at Doncaster Royal Infirmary with his family present. An obituary described him as the loving husband of Esme, and a much loved dad of Margaret and Jennifer and loving father in law of Stephen and Doug. He was also a grandad and great grandad. His funeral will take place on June 14 at 10.40am at Rose Hill Crematorium Doncaster.